Awhile back Natalia pushed me out of the nest, saying it was finally time for me to start writing to her in Spanish. For years we have been writing back and forth bilingually, my e-mails in English, hers in Spanish. Which was super pleasant. But it was laziness on my part, and in fact unbecoming of a person whose goal is to do business in Latin America. Writing in Spanish was hard for me at first but it’s getting easier with practice. I read well, but speak poorly, and I had zero experience with writing. 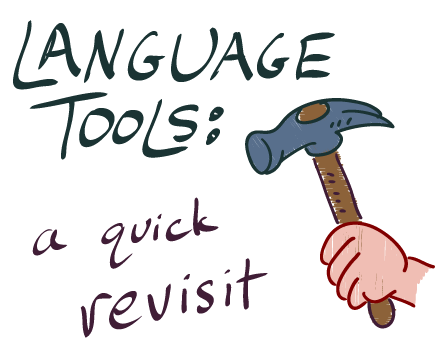 To my surprise though, just having everyday language tools readily at hand makes it much, much easier now than it would have been, say, 5 years ago. It isn’t cheating to use these things. In fact writing simple e-mails with the support of spell-checkers and grammar-checkers, conjugators and dictionaries, and of course machine translation, is just a great way to get continual correcting feedback while learning any language.